The Women's Center is now screening candidates for our fall 2018 dual Domestic Violence and Sexual Assault Certification program. This 48-hour training class certifies volunteers to perform crisis intervention at the Center during business hours or from home when the Center is closed; it is a prerequisite for counselor-advocate, group facilitator, and other advanced direct service volunteer positions. Day training classes begin September 11th, meeting for two weeks in the Center's 2nd floor Training Room at 8 West Street in Danbury. During the last fiscal year, the Women's Center responded to more than 3,000 sexual assault and domestic violence hotline calls, in addition to providing emergency shelter, counseling services, advocacy services, community education and prevention programs, and information and referral services. Over 33,000 clients in the greater Danbury area were served by the Center's programs and services from July 2016-June 2017. Whether staffing hotlines, running support groups, providing individual counseling, or working in our shelter, YOU can help to end the violence by visiting the Volunteer page of our website to apply. Please call the Volunteer Coordinator at (203) 731-5200, ext. 202, or email , for more information. 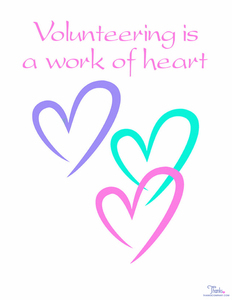 Space is limited and all prospective volunteers must apply by Friday, August 10th. Because abuse does not discriminate, and to insure that our services are responsive to the needs of all individuals, we are actively recruiting volunteers who reflect the diversity of the greater Danbury community. Candidates must be at least 18 years of age; male and bilingual volunteers are encouraged to apply. There is a $50 per person materials fee to help defray the cost of the manual (waivers are available for qualified candidates), and a background check will be done. The Women's Center provides free and confidential services to prevent or lessen the trauma associated with domestic violence, sexual assault and other major life transitions to thousands of women, children and men annually. The programs of the Women's Center are supported by state and local government, area United Way agencies and the people and businesses in the communities we serve, including Bethel, Bridgewater, Brookfield, Danbury, Kent, New Fairfield, New Milford, Newtown, Redding, Ridgefield, Roxbury, Sherman, Warren, and Washington, CT.